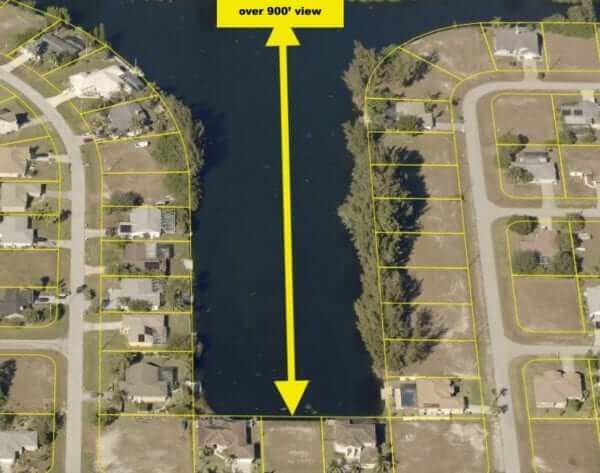 1023 NW 42nd Pl, Cape Coral – $524,900… GORGEOUS VIEWS! VIEWS! VIEWS! VIEWS! VIEWS! VIEWS! SAILBOAT WATERFRONT GULF ACCESS HOME with intersecting and lake views. ALL NEW within the past three years: NEW Paver driveway & walkway to dock, NEW pool resurfaced, NEW composite on dock, NEW remodeled kitchen and master bath, NEW A/C, NEW granite, NEW stainless appliances, NEW well pump, NEW rolldown & accordion storm shutters, NEW crown molding & trim, NEW plantation shutters, and NEW ROOF on the way. Stunning home offers: QUICK BOATING ACCESS, whole-house water system, DEN, tray ceiling, HUGE MASTER CLOSET, mature palm trees, HUGE TRAVERTINE WALK-IN SHOWER, double wall oven, cooktop, pantry, leaded double front doors, HUGE 8’ sliders that extend the length of the great room, dock with lift. Enjoy watching the dolphins and manatees. 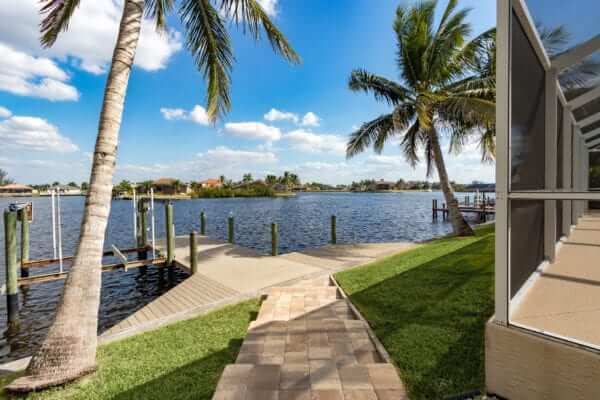 No bridge to go under and great Boating access to the Gulf of Mexico, beaches, and surrounding islands such as Cayo Costa, Cabbage Key, Sanibel, Boca Grand and more. Not to mention…this area offers some of the best fishing to be found anywhere in the world. Close to shopping, restaurants. golf, etc… Fort Myers International airport about 30 miles away and Punta Gorda airport approx 20 miles away. 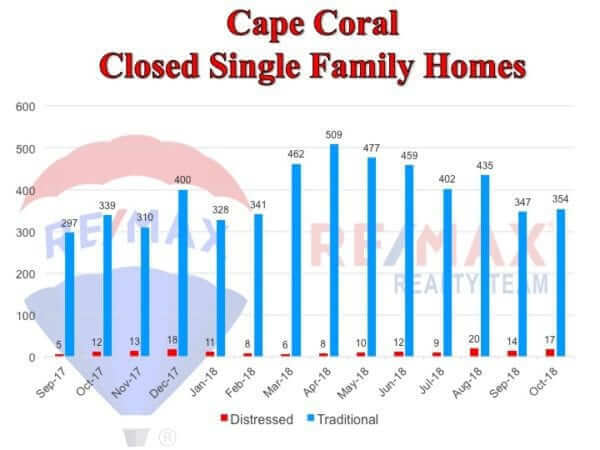 Active single family homes rose in October by 5% while a rise is expected in the 4th quarter the big push will be seen in the first quarter of 2019. 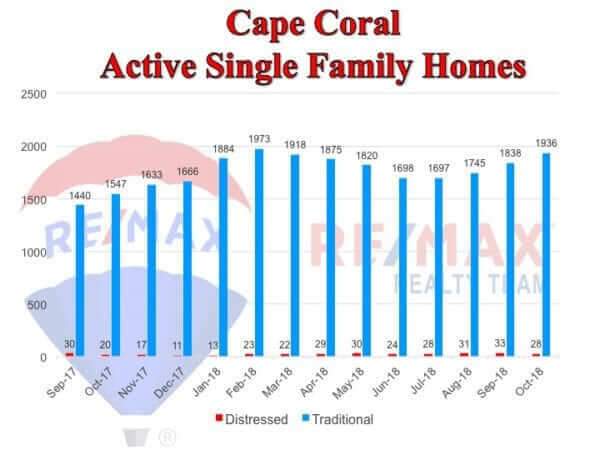 Currently, there are 1,964 active single family homes in Cape Coral. Typically, the higher the inventory, the fewer the sales. Housing demand depends on labor market opportunities and although inventory is up it was not enough to offset the demand. Sales were up 6% from last October and nearly 3% from September. Rising interest rates have cooled the double-digit price increases for the last 3+ years. Sellers remain in the driver’s seat but moderating home prices are great news for prospective buyers. 184 single family permits were issued in October a jump of 35% from September. 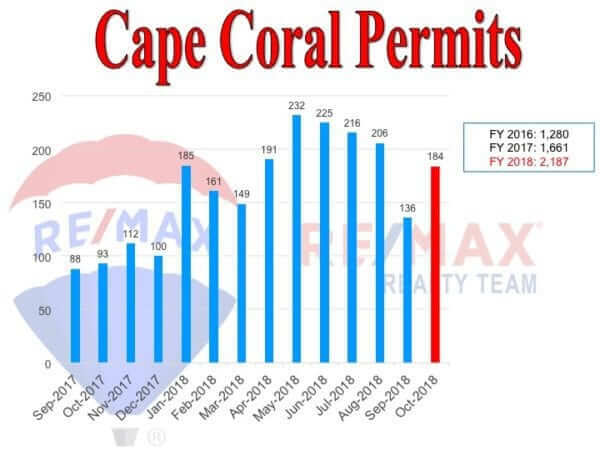 While we need to see double the number of permits issued to rebalance our market, 2018FY is up 32% from last year and 2019 FY is off to a great start! Coral Ridge Funeral Home and Cemetery hosted a large groundbreaking in September heralding a bright future for the Cape Coral landmark.Chuck Warren, director of operations, and Mayor Joe Coviello were joined by a crowd of 50 when ground was broken on a 8,500-square-foot, state-of-the-art building slated to open in the spring. The new building will be on the 68-acre property, facing Chiquita Boulevard. The new facility will enable Coral Ridge to provide a venue for all types of events, including celebrations of life, receptions, weddings and private gatherings, Warren said. The exterior will be lined with stonework and feature a steeple rooftop. Influenced by Cape Coral’s subtropical location, the interior will feature vibrant tropical tones and a calming environment with plenty of natural light and spacious, high-beamed ceilings. It can accommodate more than 175 guests. The current chapel and administrative offices are housed in the former Ranch House Motel, which offered lodging to winter tourists and joined the county’s tax roles in 1947. It is the oldest existing building in Cape Coral. Coral Ridge has been providing local funeral services since 1965. 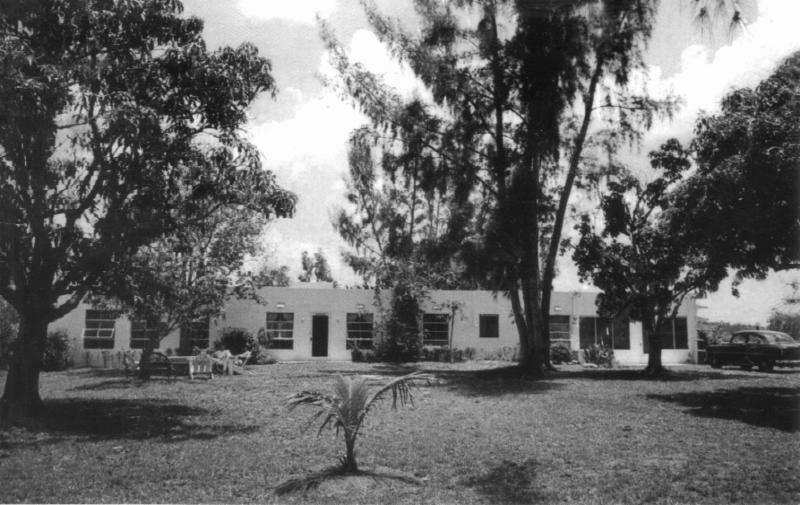 The Coral Ridge chapel originally served as a hotel in the 1940s. Coral Ridge is part of Dignity Memorial, which has 2,000 sites nationwide, and 14 member funeral homes in Southwest Florida. In addition to weddings and private events, Coral Ridge will continue to offer traditional funerals, military services, customized memorial services, burials, entombments and cremation services. If you have ever eaten at the aptly named Heavenly Biscuit in a colorful, vintage cottage on Fort Myers Beach, you will be happy to hear that the restaurant founder opened Mom’s Restaurant in Cape Coral this summer. And one reason, according to Mom’s owner Heather Reagan, was because many Cape residents were actually making the drive to the beach for her from-scratch buttermilk biscuits and cinnamon rolls. Reagan opened Heavenly Biscuit in 2001, and sold it in 2012. She kept hearing from former patrons, and so opened her first Mom’s Restaurant on the beach in July 2015. In addition to signature biscuits and rolls, the breakfast-and-lunch eatery serves homemade entrees such as meatloaf, pulled pork sandwiches, breakfast platters, egg sandwiches, chicken salad and Cuban sandwiches. Mom’s took over the space that was most recently Heavenly Hoagies in the Big John’s Plaza. It has eight seats and about 600 square feet in total for the dining area, open kitchen and small prep room in the back. Hours: 7 a.m.-noon Monday; 7 a.m.-2 p.m. Wednesday to Sunday; closed Tuesday. Fort Myers-based Ginger Bistro has opened its second Lee County restaurant in the Shops at Surfside. Ginger Bistro is a popular Chinese and Hong Kong-style barbeque restaurant which also serves dim sum daily during lunch hours, from 11 a.m. to 3 p.m. Eight-Foot Brewing is hosting two events in November to raise funds and awareness for two local nonprofits while patrons raise their pints. IRS released proposed regulations on a new 20% business income deduction for pass-through businesses. Individual owners of sole proprietorships including independent contractors, owners of S Corps., LLC’s or partnerships can take the deduction on their net qualified business income. The deduction is available for tax years beginning after December 31, 2017, you will be able to claim it for the first time on the 2018 federal income tax return. Self-Employed and 1099 borrowers, it may be a lot easier to qualify for a loan: The program allows a 12-month average of bank deposits as income (50%) and no tax returns are required. For more information, contact Tim Hart of VanDyk Mortgage.